A celebration of sound system and vinyl culture is being held at Goldsmiths, the University of London with exhibitions, discussions, workshops and club nights taking place in January. The university is hosting the critically-acclaimed Let’s Play Vinyl photography exhibition throughout the month. And a four-day festival at Goldsmiths’ campus in New Cross will help kick off the exhibition ­– including free hands-on workshops on how to build your own sound system and toasting. Leading sound system operators will also help lead a conference on how the Jamaican artform helped elevate the record player “into a musical instrument in its own right”. The month-long programme begins with the Sound System Outernational Vinyl Weekender from the 11-14 January. This starts on Wednesday 10 January with the launch party for the Let’s Play Vinyl exhibition, a touring show which uses portraiture and interviews to shine a light on some of the new, more diverse sound systems, which are enhancing the traditions of reggae and vinyl. It runs until 12 February. 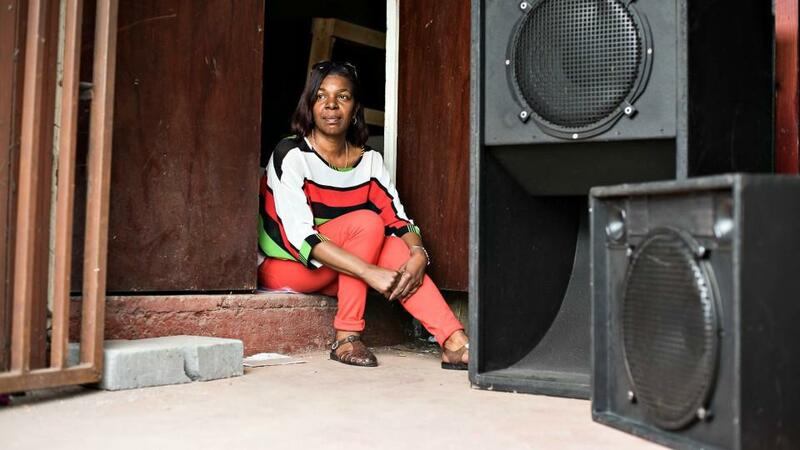 The exhibition features 21 images from photographer Elliot Baxter which portray the current generation of reggae sound system operators, saluting them as productive entrepreneurs creating their own arts ecology in modern Britain. On Friday 12 January there is a special screening of Legacy In The Dust: The Four Aces Story. The evening of 13 January sees theory put into practice ­­– with Skin Deep Sonic Transmissions and Unit 137 Full Sound System & Crew playing Goldsmiths Students’ Union. Then on Sunday 14 January aspiring sound system operators and MCs can try out building their own rigs or toasting at a series of free workshops. Participants can learn how to construct a high-quality mini loudspeaker in classic style, young people can explore the art of toasting and composing lyrics overdub beats, and children can interact with a 60s Dansette record player. Audiences will also have an opportunity to operate an interactive sound installation, consisting of a custom-built sound system, turntable, Matamp Super Nova mixer/preamp, Matamp Quasar amplifiers and Fane loudspeakers. The celebration sees Goldsmiths collaborating with Let’s Go Yorkshire, the organisation behind the touring Let’s Play Vinyl exhibition. Professor Julian Henriques, from the Department of Media and Communications at Goldsmiths, said: “In the midst of the current vinyl ‘revival’ it is important to recognise the hugely important role that the Jamaican sound system played in turning the domestic record player into a musical instrument in its own right. The programme also includes the official launch of new book Stuart Hall: Conversations, Projects and Legacies on Thursday 11 January at 6pm. This will include a short reading and Q&A with the editors, as well as an audio-visual celebration of the life of the cultural studies pioneer. The exhibition forms part of the Let’s Play Vinyl National Tour developed by Let’s Go Yorkshire in partnership with the University of Leicester; Goldsmiths, University of London; Birmingham City University; and the University of Huddersfield. The Let’s Play Vinyl National Tour is supported by Arts Council England and Kirklees Council.